Taking place on Saturday 16 March, just 200 places are available for the nighttime aircraft event and tickets are selling fast! The Museum has teamed up with Threshold Aero, specialists in aviation night shoot photography, to deliver this brand-new event. 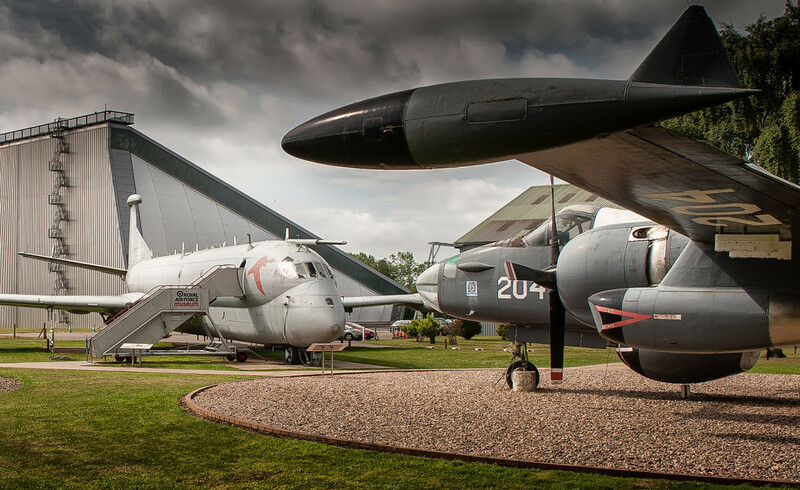 Aircraft including the Bristol Britannia 312 and the Hawker Siddeley Nimrod R.Mk.1 will be lit with LED lights, giving photographers the chance to capture shots of the aircraft in their Museum setting, showcased like never before. The Night Shoot will commence at 5.00pm allowing those attending the chance to capture images in changing lighting conditions at sunset, before the light fades and after dark. The illuminated aircraft are guaranteed to provide a spectacular photo opportunity. Eight historic aircraft from the RAF Museum’s collection will be illuminated for the evening, ranging in size from the single seat fighter Hawker Siddeley Hunter F6A to the giant long range airliner Vickers VC10 C1K. Other highlights will include the Hawker Siddeley Dominie T.Mk.1, Lockheed Hercules C130K Mk3 and the Lockheed SP-2h Neptune. As a special addition to the event, the Scottish Aviation Jetstream T Mk1, usually housed inside Hangar 1, will be displayed outside the hangar, giving photographers another aircraft to capture on the night. Event organisers are confident the Night Shoot will not only appeal to photographers but also aviation fans who want to enjoy exclusive after hours access to view the aircraft in a different light. Tickets to the Photography Night Shoot event are now available to purchase in advance via the Museum website and cost £25 per person (including onsite parking fee). Ticket holders must be aged 16 years and over. Visit www.rafmuseum.org/cosford for more details.